(05/07/2018) At Sigma Biotech, we have been developing an innovative range of textured table sauces in sliced ​​formats for more than a year, achieving a powerful knowledge on the elaboration of such products (http://sigmabiotech.es/sigma-biotech-desarrolla-una- range-sauces-table-formats-lunch-cubes /). Our technical team was able to develop ketchup, lactonesa-pineapple and honey-mustard, although thanks to the know-how generated it is possible to carry out the development and optimization tailored to other flavors required by each client. The reinvention and evolution of this traditional product under a new format, presents advantages that speak for themselves. From Sigma Biotech, as an R & D group, we are still waiting for an industrialist to bet on acquiring this knowledge in anticipation of a market that, in view, is generating interest in other geographical areas.It is an “innovative format” that will spread quickly through homes and food establishments, just as individual sachets did in restaurants and other fast food establishments. 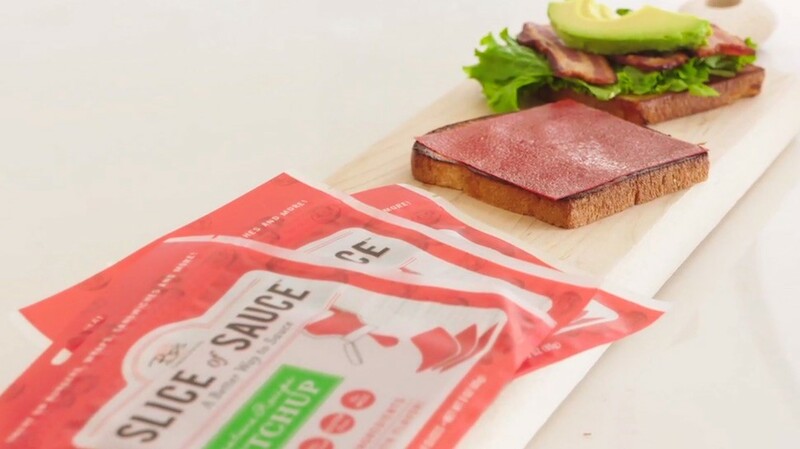 The company, Bo’s Fines Food, has put on sale packs with eight individual slices of ketchup to incorporate directly into the sandwiches and hamburgers obtaining “a perfect bite, as if it were sliced ​​cheese emulating the development carried out by Sigma Biotech a couple of years before.